It’s hard not to love Morgan Motor Co. The quintessentially British firm clings tenaciously to the past with cars that, despite modern mechanicals, look older than Keith Richards. 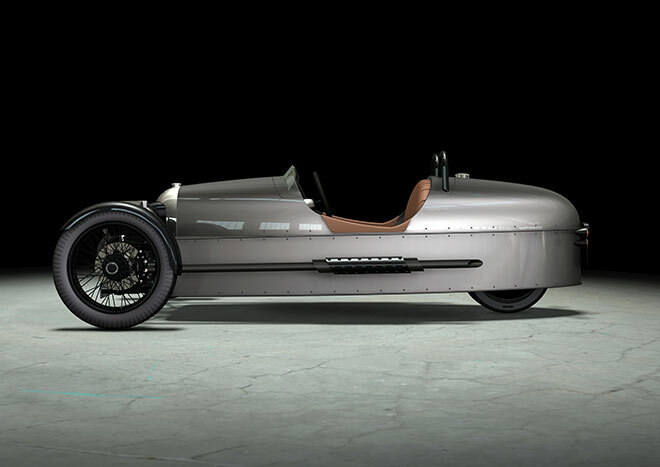 Morgan has always kept one foot firmly in the past, but even by that measure it’s going way back to the future to reprise its iconic Threewheeler. 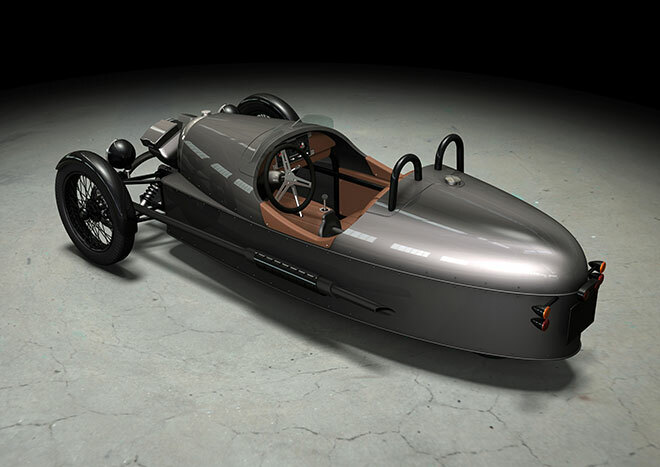 The family-owned firm is celebrating its 100th anniversary by bringing back the first car Harry Morgan ever designed. The simple yet elegant Threewheeler (Morgan says it’s one word) defined the company from its founding in 1909 until the last one rolled out of the factory in Malvern, England in 1953. Some 30,000 were built – every one of them by hand — in Malvern. Many more were made under license by Darmont Morgan in France. You can scoff, but these once were the height of cool. In Britain, anyway. A Threewheeler was the first car Sir Stirling Moss ever drove on the road legally. He called it “a great babe magnet.” Other Morgan aficionados included Brigitte Bardot and Mick Jagger. The cars were formidable competitors back in the day, winning the French grand prix in 1913 and lapping Brooklands at more than 100 mph. The cars remain popular with collectors like Jay Leno, and enthusiasts say there’s nothing else like them. Well, that’s true of so many British cars, isn’t it? The new Threewheeler should prove a bit more reliable when it returns [this] year. Power will come from a 1800 cc Harley Davidson “Screamin’ Eagle” V-twin producing 100 horsepower at the wheels. Drivers will row through a 5-speed gearbox pulled from a Mazda 5. Everything will be bolted to a steel tube frame wrapped in aluminum bodywork. Look for a weight under 500 kilograms and a zero to 60 time of 4.5 seconds. Projected top speed is 115 mph, but we suspect it will feel so much faster. The new Threewheeler hews closely to the original in both styling and engineering. And a video, courtesy of YouTube user Woozyphant, who seems to love old tech.